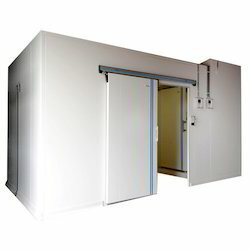 Our range of products include cold room. Our company has established itself as a leading manufacturer, trader and supplier of superior quality Cold Room in the market at the present scenario. So while the display increases product visibility, the visibility increases sales. And more sales mean more profits. These products from our side are made available to the customers at industry leading rates and are provided as per the set industry norms and protocols as well. These vertical storage coolers are specially designed to cool uniformly and help the user to display the products inside.